Mesa Verde is a UNESCO World Heritage Site located in Montezuma County, Colorado and is the largest archaeological preserve in the United States. 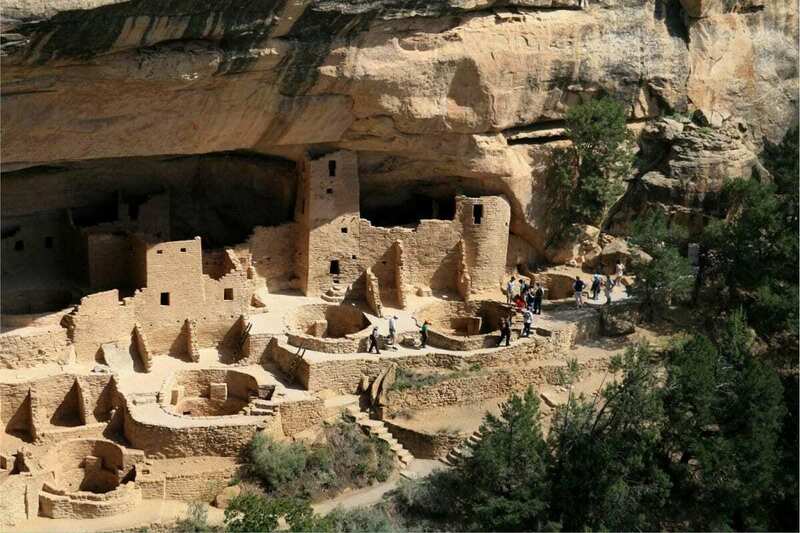 The Anasazi (Ancient Pueblo peoples) inhabited Mesa Verde between 600 to 1300 AD, though there is evidence they left before the start of the 15th century. In the late 1190s they began to build the cliff dwellings for which Mesa Verde is famous, in particular, the Cliff Palace. 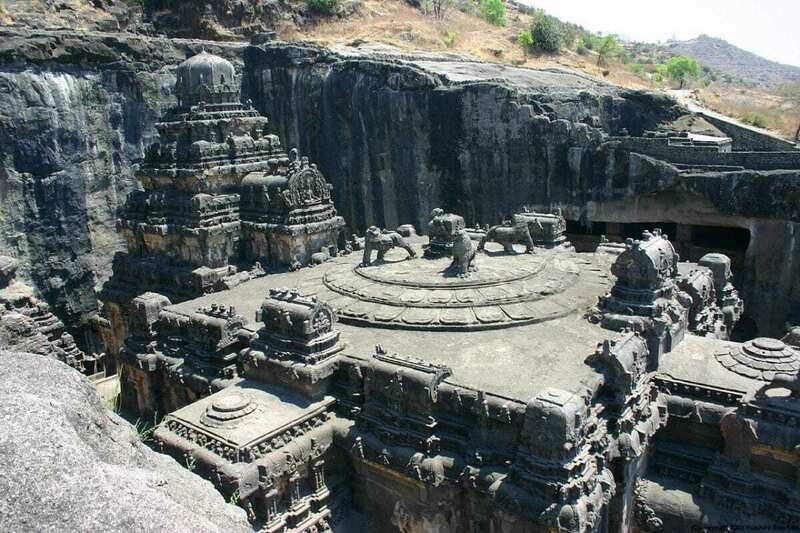 Ellora is a Rashtrakuta dynasty ceremonial site near the city of Aurangabad in the Indian state of Maharashtra. The 34 “caves” are actually structures excavated out of the vertical face of the Charanandri hills. Buddhist, Hindu and Jain rock-cut temples and viharas and mathas were built between the 5th century and 10th century and represent some of the most ornate rock cut architecture in the world. 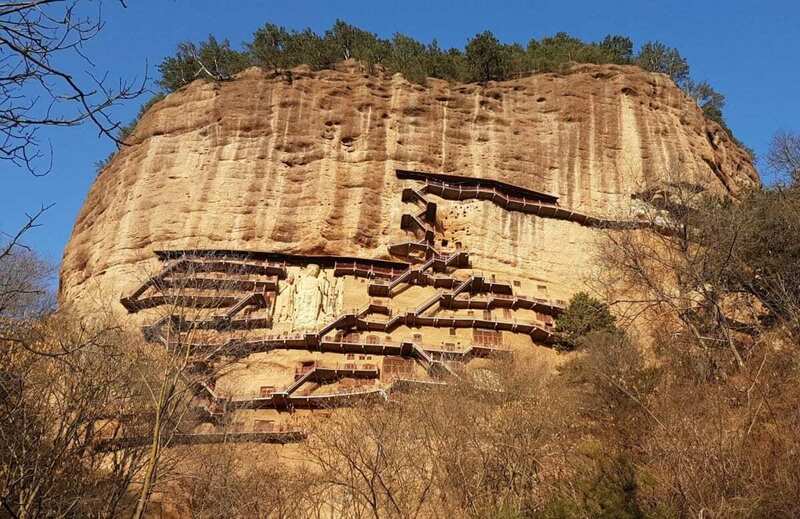 Guyaju is a cave complex located 92 kilometers from Beijing in the Yanqing County, overlooking the town of Zhangshanying. The complex comprises of 147 hollowed stone rooms cut from a 10-meter cliff face. 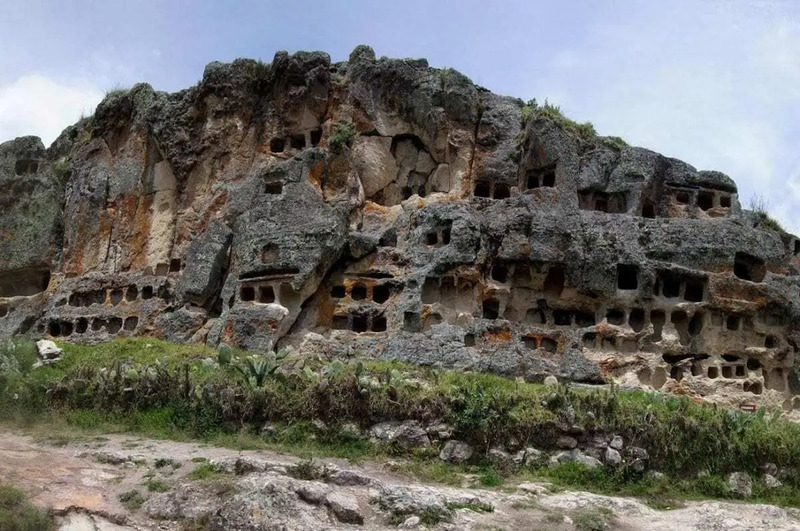 The origin of Guyaju is still a mystery even to this day, but each room with its doors, stone beds, stone shelves, windows and cooking areas suggest residential habitation. 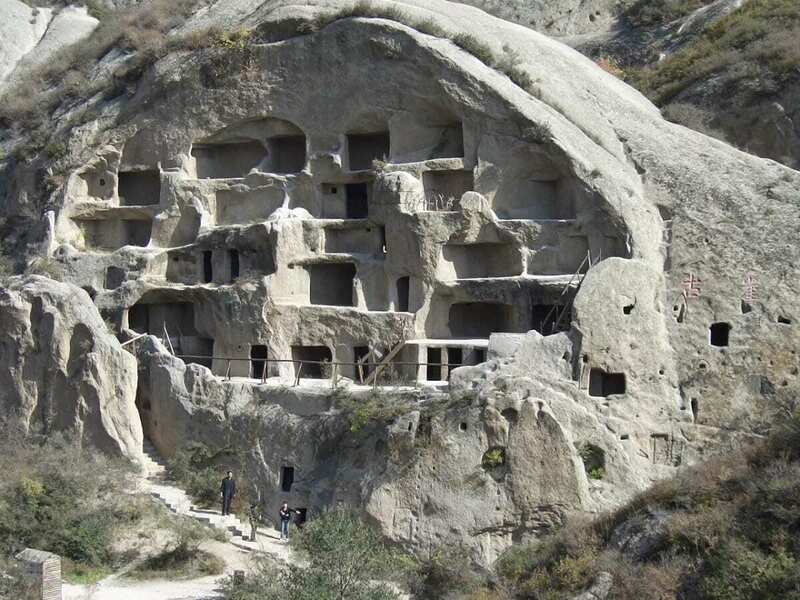 The Maijishan Grotto’s are a series of 194 caves cut in the side of the hill of Majishan in Tianshui, China. The cave complex contains over 7,200 Buddhist sculptures and over 1,000 square meters of murals. Construction began in the Later Qin era (384-417 AD). The Derinkuyu underground city is an ancient multi-level complex in the Nevşehir Province, Turkey. Extending to a depth of approximately 60 m, it was large enough to shelter approximately 20,000 people together with their livestock and food stores. It is the largest excavated underground city in Turkey and is one of several underground complexes found across Cappadocia. The city at Derinkuyu was fully formed in the Byzantine era, when it was heavily used as protection from Muslim Arabs during the Arab–Byzantine wars (780-1180 AD). The Bandiagara Escarpment is located in the Dogon country of Mali and contains hundreds of structures and caverns built into the cliff face. 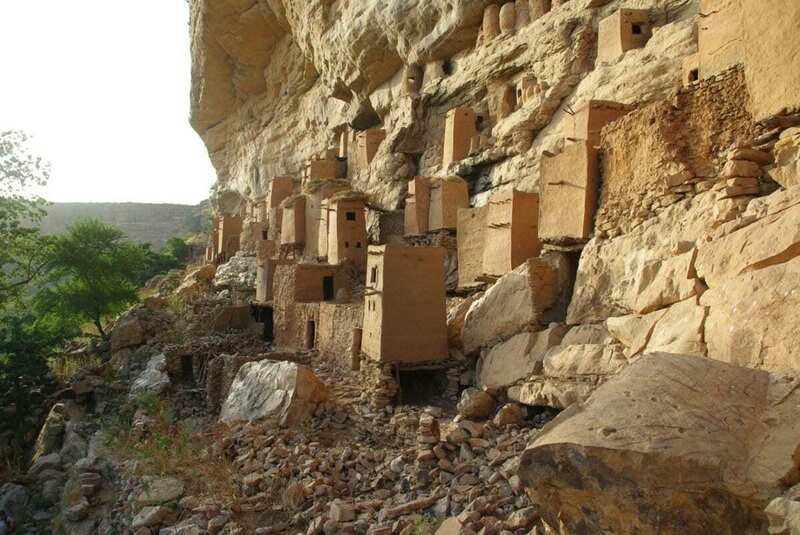 Before the Dogon, the escarpment was inhabited by the Tellem and Toloy peoples, an ethnic group later pushed out. The Tellem legacy is evident in the caves they carved into the cliffs to bury their dead and protect the remains from the frequent flash floods of the area. 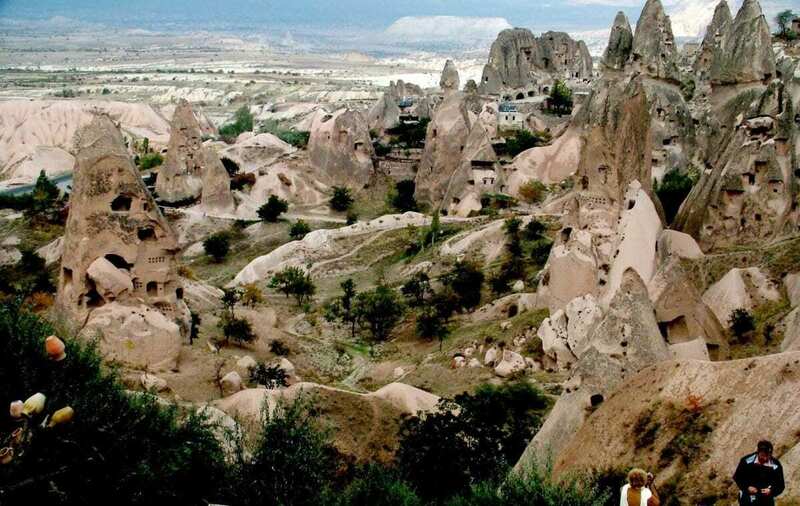 Göreme, located among the “fairy chimney” rock formations is a town in Cappadocia, Turkey. The area was first settled back in the Roman period where Christianity was then the prevailing religion. This led to many rock-cut churches and surrounding settlements to be established in the soft rock of the region. 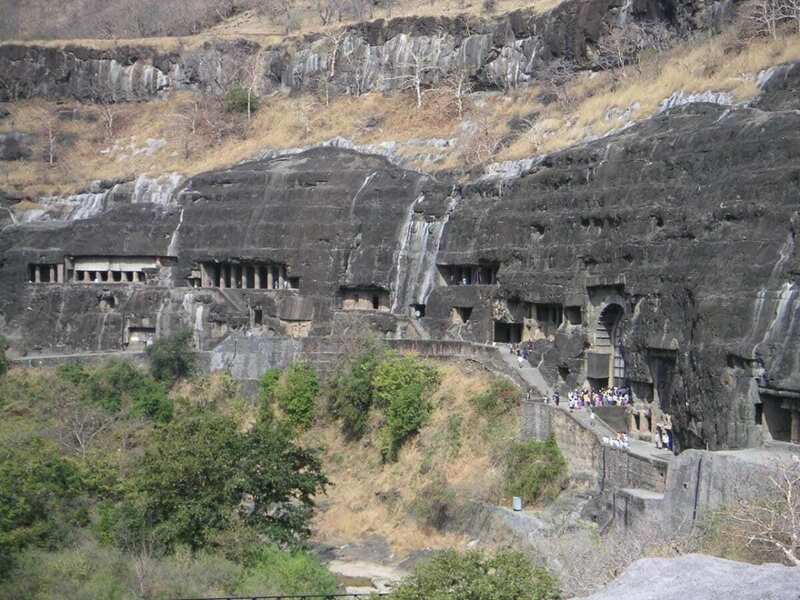 The Ajanta Caves in Aurangabad district of Maharashtra, India date from the 2nd century BC to about 480 or 650 AD. The 30 rock-cut Buddhist caves include paintings and sculptures described by the government Archaeological Survey of India as “the finest surviving examples of Indian art, particularly painting” with figures of the Buddha and depictions of the Jataka tales. Chislehurst Caves is a 22 miles (35 km) long series of tunnels 100 feet beneath the surface of Chislehurst in London, England. Although they are called caves, they are entirely man-made and were dug and used as chalk and flint mines. 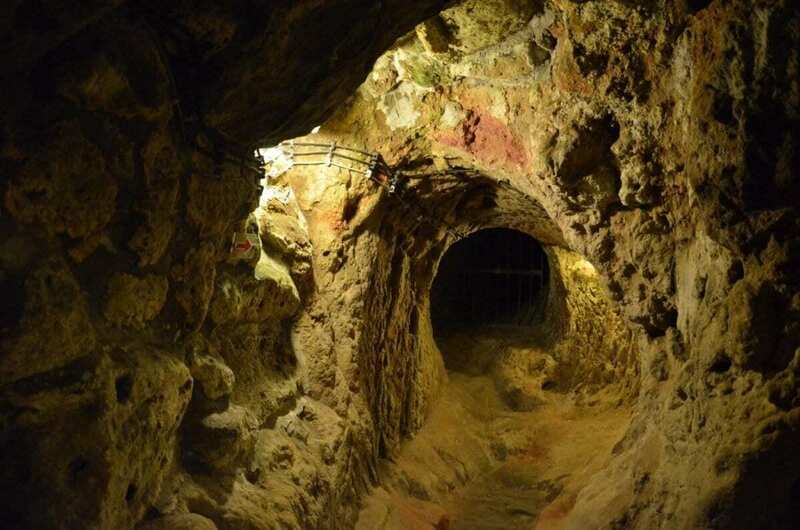 The earliest mention of the mines is around 1250 and they are believed to have been last worked in the 1830s. 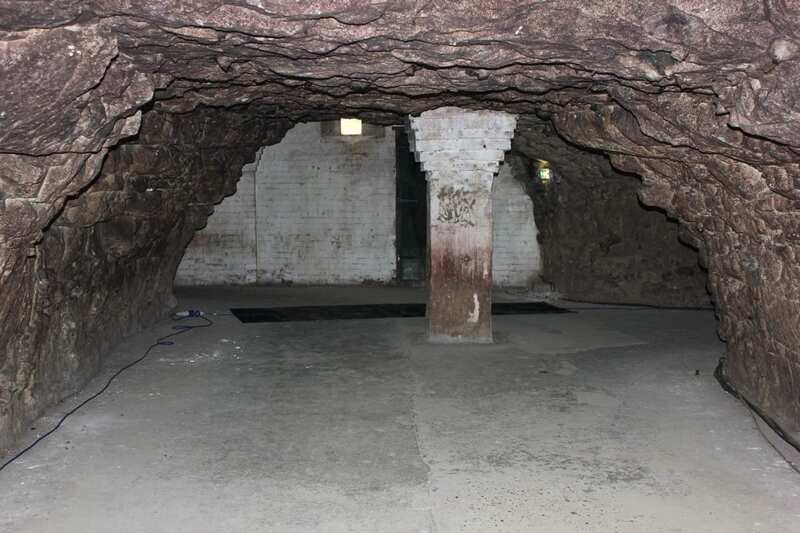 During World War II, when the aerial bombardment of London began in September 1940, the caves were used as an air raid shelter. Soon they became an underground city of some 15,000 inhabitants with electric lighting, running water, a church, hospital and an air ventilation system. Otuzco “The windows of Otuzco” is a Peruvian archaeological site located in the district of Baños del Inca , 8 km northwest of the city of Cajamarca comprising of a necropolis of chambers. The site was carved out of volcanic rock with 337 chambers 8-10 meters deep, 50-60 cm high and rectangular or quadrangular shaped. The date of its construction is uncertain, with only some datable ceramic pottery dating from 1400 B.C.